As your canine friend ages, they can come incontinent due to a weak or uncontrollable bladder. It is a cause for concern for pet parents but the good news is that it can be cured. Before we jump onto the treatment methods of urinary incontinence, let us start from the beginning – symptoms and causes. There are several circumstances that can lead to urinary incontinence in dogs. Some of the more common causes are listed below. 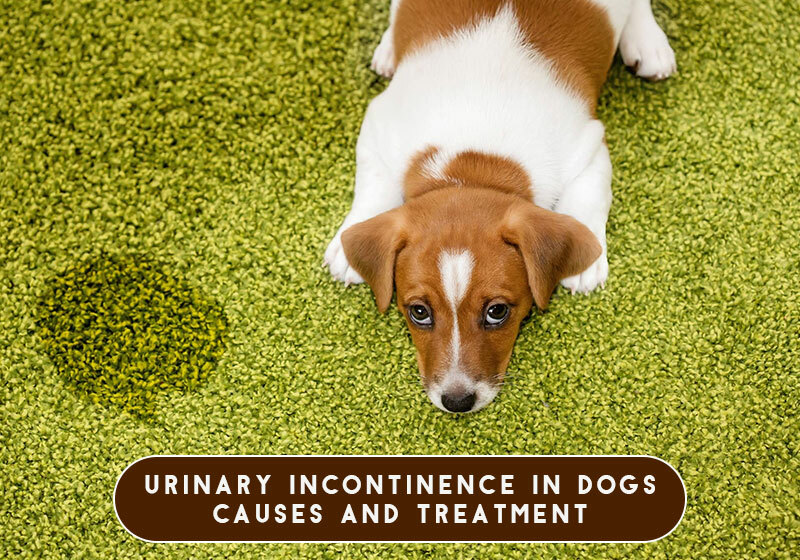 One of the main reasons that cause urinary incontinence in dogs is the age factor. As dogs grow older, their bladder becomes weaker which in turn leads to such a problem. Most dogs while acting submissive can leak out urination. This behavioral issue may not be a serious problem but could possibly be linked to urinary incontinence. Visit a vet as soon as possible to rule out any major health issues. Bladder or kidney stones in the urethra usually do not cause actual incontinence but your pal may be incontinent as the trapped urine drips around the stones. If blood or abdomen pain is accompanied with the urine then it may be a serious cause for concern. Immediately contact your vet in such a situation. This particular disorder largely strikes adult dogs and might cause your pet to make him totally unaware of him going to the bathroom. It exhibits symptoms of dementia and Alzheimer’s disease and can be a serious issue. Another reason that may cause urinary incontinence is ectopic ureter which is a birth defect. This condition occurs when the ureter that was supposed to carry urine to the bladder, ends up sending it elsewhere such as the urethra. This occurs in neutered dogs of both sexes but more commonly in female dogs where the pet leaks urine while resting. Hormonal-responsive incontinence can occur for several years after either spaying or neutering. This infection could be another reason behind urinary incontinence which causes scarring of the lining of the dog’s bladder. Though urinary incontinence is generally a problem that can hardly be controlled (age factor), it is imperative for pet parents to detect the condition early to rule out any serious urinary problems. Thus, do all you can to keep your pet safe because that’s what you signed up for, right? Fleas and ticks are one of the most common types of ailment affecting dogs. These creepy blood-sucking parasites are not only annoying but can transport deadly and life-threatening diseases to your poor pooch. Hence, it is obvious to get rid of them as quickly as possible. For that, you require treatment methods and there are plenty of them to choose from which can hamper your decision making. Thus, we’re here to list all possible treatment methods for you to simplify your choice making. Similar to tablets, chews are flavored and sticky and are meant to be chewed before ultimately being swallowed. They are highly palatable and are easy to feed dogs. 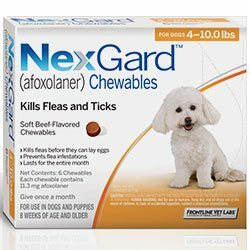 Flea and tick chews come in handy for those dogs who hate topical treatment methods. Flea and Tick Collars contain chemicals that help to spread slowly but effectively all throughout the pet’s body, killing the sleazy fleas and creepy ticks. They also help in protecting your furry pal for months from re-infestation. Collars are regarded as one of the simplest, cheapest and cost-effective methods of treating and preventing such parasites. 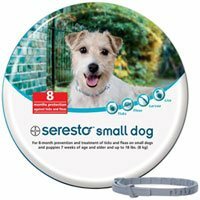 Get Seresto Collar for Dogs Here | Free Shipping! Just like collars, powders emit a strong chemical that gets absorbed by the skin once applied. The chemical rapidly spreads all over the body, killing fleas, ticks and other various parasites that are present. 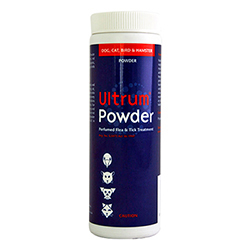 Purchase Ultrum Powder For Dogs | Free Shipping! A spot on treatment is an external method of getting rid of fleas and ticks. All you have to do is apply the spot-on on the affected areas and leave it to dry. The solution will seep through the infected areas and effectively kill all fleas and ticks and simultaneously provide month-long protection. Another simple and easy method to treat and protect your pal from fleas and ticks is by using sprays. Simply spray the flea and tick spray on the affected areas but avoid the eyes of your pet. Sprays can last up to a few months provided your pet stays dry. 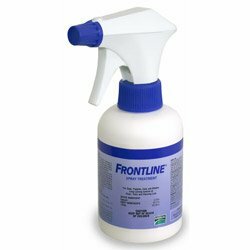 Buy Frontline Plus Spray Here | Free Shipping! The widely used treatment method for curing and preventing fleas and ticks is none other than tablets. Simply toss a tablet to your pal or if he’s fussy, crush the content and mix it in his food or water. 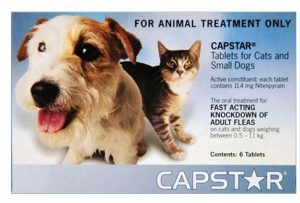 Buy Capstar Flea Treatment Tablets For Dogs | Free Shipping! While there are plenty of options to choose from, make sure you make the correct choice by keeping in mind the preference of your pet, side effects, how bad the flea and tick condition is, how many months of protection your pet needs, etc. If you’re still skeptical about which treatment method to opt for; fret not, just call your local vet and ask him to help you out. You may be also interested in reading Cost-Effective Natural Flea Treatment for Dogs and Cats. We often allow our dogs to sniff around and pick up titbits from their mouth; they roll in filth without even realizing that they could be at risk of developing an infection from the worms they just ingested along. Even though we know that completely, we cannot stop them from doing things. Therefore, it is imperative for us to resort to the best preventatives and treatments that we can so they don’t fall ill in the first place. Intestinal parasites can feed off nutrition from the pet’s body and can be very dangerous especially to puppies that have vulnerable immunity. So, in case you see any following signs in your dog, report to the vet immediately. The most critical part of the complete process is to choose the perfect treatment that will suit your pet. Well, here are some things you must consider before doing so. The treatment must be correct for the age and weight of your dog. It should be fast acting with little or no side-effects. Your budget should also be taken into consideration. The type of treatment your dog prefers i.e. topical or chewable. Buy Drontal Plus at Lowest Price | Free Shipping! 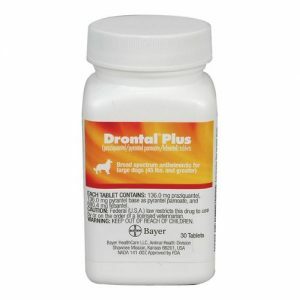 Drontal is one of the best broad-spectrum treatments for hookworms, tapeworms, whipworms, and roundworms. A single dose of this treatment has the potential to protect a dog for one month and can even be given to puppies over 4 weeks of age. 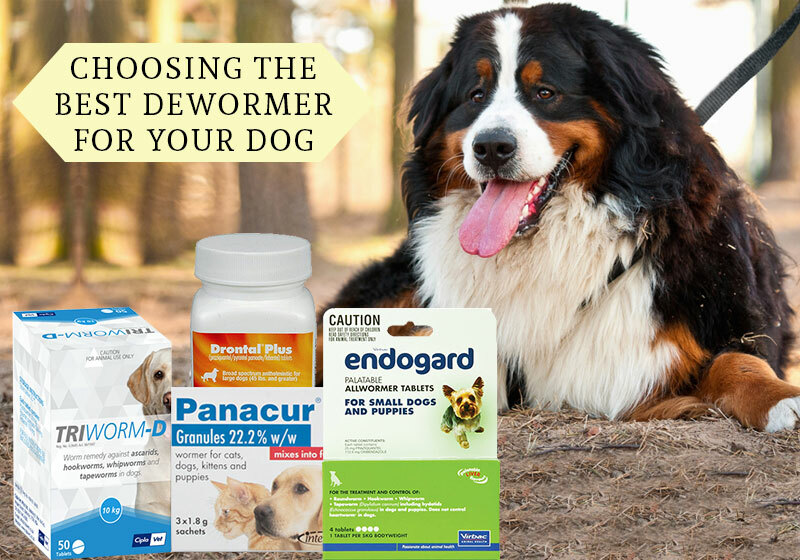 Moreover, the palatable taste of the tablets doesn’t pose any problem in administration thus it makes for a perfect dewormer to treat your dog. 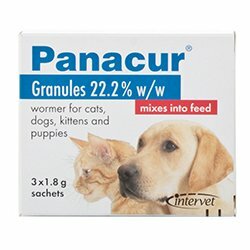 Get Panacur Worming Granules Here | Free Shipping! 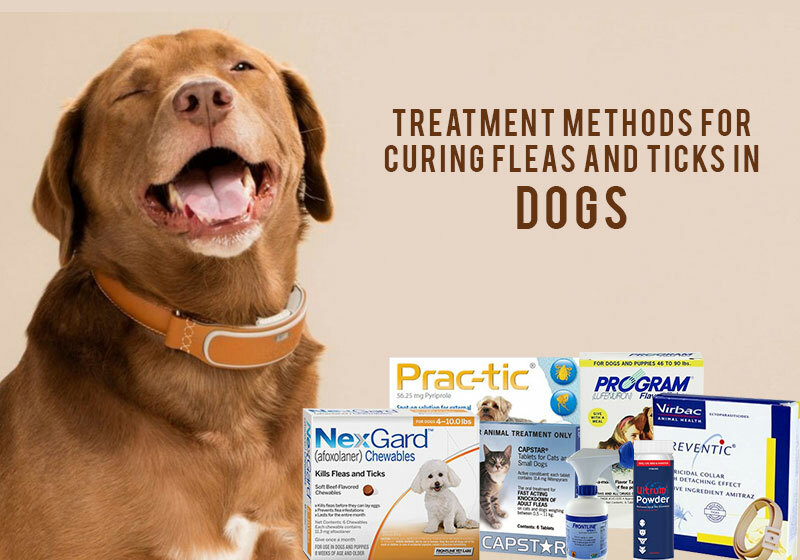 This treatment is extremely effective in eliminating roundworms, tapeworms, hookworms, and whipworms from dogs thus preventing major worm infections. One can easily administer the treatment by mixing it in the pet’s food or by placing it directly into his mouth. The product also delivers protection against prenatal infections of Toxocara Canis and protozoal infection in puppies. Moreover, a single dose is enough for preventing the infection for a complete one month. Buy Triworm-D at Lowest Price | Free Shipping! 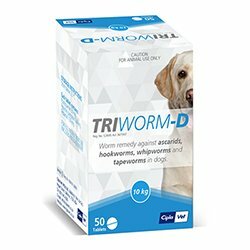 Triworm D is again a potential worm killer that eliminates ascarids, tapeworms, hookworms and whipworm infections. 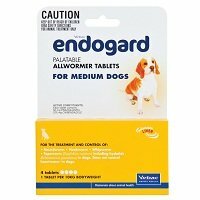 It is a broad spectrum worm treatment that can be easily administered to young pups as well as pregnant dogs, besides treating adult dogs. You can either crush and mix it into your dog’s food or directly institute it in his mouth. However, make sure he doesn’t spit it out. 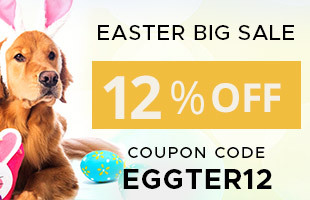 Purchase Endogard at Discounted Rates Here | Free Shipping! This liver flavored intestinal worm treatment has ovicidal and larvicidal properties and thus is highly effective in eliminating all four types of worms found in dogs. 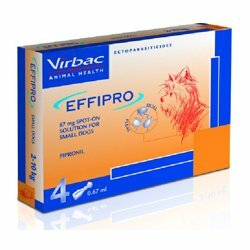 Puppies above 2 weeks of age can be easily treated with this product other than adult dogs. Also, it is completely safe for treating dogs that are pregnant or breeding. It’s often seen that working parents have to leave their toddlers back at home, alone and away from them until they reunite at the end of their working hours. But, does this mean that they aren’t thinking about them the entire day. Ofcourse they are!! The thoughts of their babies’ whereabouts and activities constantly worry a parent and thus there are some or the other arrangements they’ve made in advance in the form of a nanny, or a creche enrolment, or calling up a relative, friend or a neighbor, etc., to take care of any unwanted incidents. The same is the case with a pet-parent. 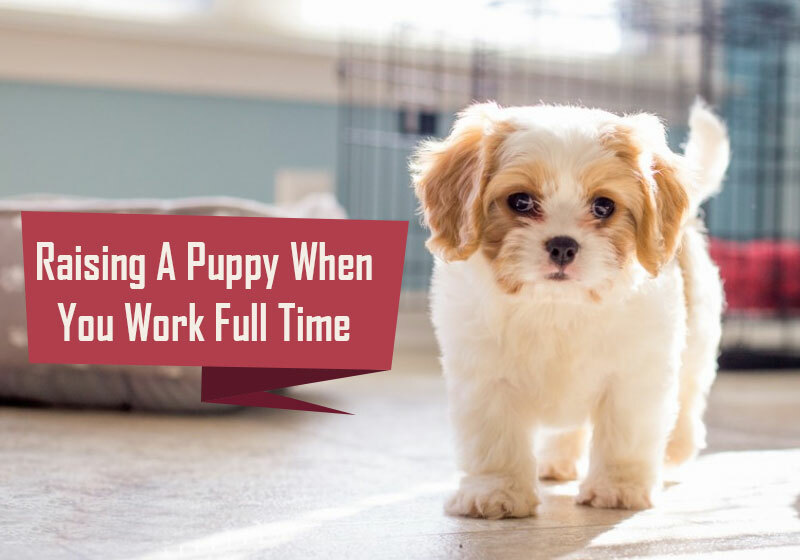 A full-time working parent has to pre-plan a lot of things for their pups in order to make them comfortable, active and happy, yet ensure it’s well trained. Once acquainted with your daily presence around him, your furry little baby might find it difficult to digest your absence. Thus, it’s very important for a pet-parent to ensure that the puppy doesn’t learn to miss you or cry when you leave. This can be done by leaving without coming into his notice. Showering love when you leave or showing remorse for leaving it alone can inculcate a behavior of crying when he’s left alone. Thus, it’s important for a parent to indulge the pup into some activity and slide out. A pup is nothing less than an active volcano, who is always ready to blow and flow to every nick and corner of the house. Thus, it’s important for a parent to set up his activity schedule for the time span he’s going to spend alone. One can indulge in games with the pup and tire him out a little so that he snoozes off as soon as you’re out. One can also set up soft toys and games for it to play so that it doesn’t feel alone. Planning meals in a mode of games can also play the trick. Serving the pup’s meal in a puzzle feeder can indulge the pup into activity before he can have his meal and then doze off. Freezing the puzzle feeder can also help where the pup will have to lick his way to the food, thus passing much of his time before he can take a nap. It is utmost important for a pet parent to supervise remotely or to appoint someone to do the same so as to monitor and control the pup’s activities. A friend, a neighbor or a pup sitter who can spend some time with your little ball of fur ensures that his daily routine is being followed and the training is being provided as planned. A pup needs his regular toilet breaks and a human aid can help establish a healthy routine. One can also do the same using cameras where a parent can watch its pup over, communicate and also indulge in a game or two. Leaving your little puppy away from you can hinder his training progress, but considering this aspect of utmost importance, it’s imperative for a parent to be proactive here. Training your pup to relieve itself in the designated spot, to play and stay in the designated area, etc are some things to teach your pup before he grows up into an untrained dog. A pup generally has to relieve itself every 2-3 hours. Thus, arranging for someone to take him out for a walk timely, or making it back home during breaks for the same can help your pup grow into a well-trained pet. One can reward the pup for doing things right and can inculcate the habit of holding his pressure for a reward in the future as well. Make an aptly sized pup house furnished with a small bed and soft toys and reward your pup to stay and play within. This can help you prevent your pup from loitering and littering all around. Well, the last note – be regular with vet check-ups and start his parasite prevention program early on to be a responsible parent to your fur ball and ensure the doses are given on time. Being a pet parent is a big responsibility and even bigger when you are a super-busy person. So, make sure you follow the aforementioned steps, feed him a well-balanced diet yourself or through your aide to raise a beautiful, adult dog. Everything discussed here is easily said than done. It will take immense determination and planning for a full-time working pet parent to raise its little ball of fur as a result of which one will get nothing short of the happiness, they imagined for themselves in its companionship. You may also want to inculcate good potty habits in your puppy. Get acquainted with easy successful ways for housetraining a puppy. House training is an important part of introducing good habits to your growing pooch. It gives them a sense of what is right and what is wrong and how they should portray refined behavior. Though it certainly requires a lot of patience from the owner’s end, the results are worth reaping, especially if you are a cleanliness freak. We cannot deny the fact that puppies can litter anywhere and everywhere because when they are too young, they hardly understand the right spot to eliminate their stuff. This is the reason, they require house training. The best time to house train/potty train your pooch is when he is 12-14 weeks of age. By this time he would have learned how to hold his bladder unlike 6-8 weeks of age when he would have no clue to contain his urine or poop. All you have to do meanwhile is to use lots of old newspapers or puppy pads that will decrease your task of cleaning. While at home, confine his area to a room so he gets the sense that he cannot poop where he sleeps and plays. Gradually increase this area to the entire house and teach him not to potty in your room or other places of the house by training him for each room separately. Maintain a proper routine for him. Schedule his food timings and sleep timings. It helps in maintaining his health and he will get the urge to eliminate on the same time every single day which in turn will help you to understand the time of his poop. Reward your puppy whenever he poops in the right place. Provide good quality food so his stools are firmer and he doesn’t have the urge to poop or wee every now and then. If mistakenly your puppy poops in the wrong place, do not yell or scold him. Simply remove the poop and clean the area with a good quality cleanser meant for the purpose. Constant supervision is extremely necessary when house training your dog. Be aware of where he is going and how he is behaving. You can also use commands – a particular word that will teach him to go to the right place for pooping or for teaching him that it is time for pooping. You can also teach him a command that will stop him from pooping inside your house. Be extra patient when training your dog. They are naive and need more time to understand and follow thing correctly so even if you are a restless kind, stay put when he is pooping and wait for him to finish. Do not hurry in any activity you do with him. And the 10th way which is although not related to house training but is very important for his good health is to pay vet visits and watch out his poops. If your dog poops frequently and seems to get weak, he might be suffering from worm infection because pups usually have worms in their body when they are born. So make sure you administer wormers from the age of 2 weeks, every alternate week until 6 months and get him checked regularly to avoid any complications. Takeaway: House training establishes good etiquettes in your dog and thus, is an imperative part of dog ownership. A well-behaved dog with good manners and hygiene habits is loved by one and all so start teaching the good habits from a very young age so he consumes them for the rest of his life. You may also want to work on maintaining physical fitness of your beloved canine. Check out 5 Fun-loving Activities that your dog will enjoy and make them super-fit.